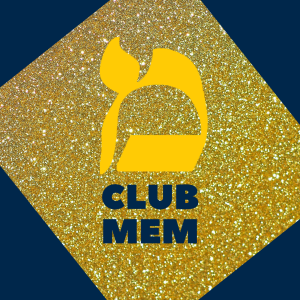 Welcome to our new group, Club Mem, specifically designed to ensure first-year students and parents feel the Hillel love right from the start! Club Mem is open to all parents of new freshmen and transfer students. Through an early contribution of $500, Club Mem parents have expressed an early interest and investment in helping our Hillel offer unique and impactful programs for new students at UofM. Learn about about Chai Society of Supporters here too! Parent Ambassadors for Michigan Hillel are always willing to chat and share with others – often answering questions and providing advice and feedback as seasoned UofM parents. We encourage you to connect hundreds of Hillel parents through our closed Facebook group. You can also reach out to Stacy Carroll, Director of Advancement, at (734) 548-6273 or [email protected] to be connected with an amazing UofM parent … like our past Parent Ambassador Council Chair, Corinne Cott or our Board of Trustees member Nanci Africk. Thank You to Our 2018-19 Club Mem Freshmen Families! A user has already been registered from this computer.